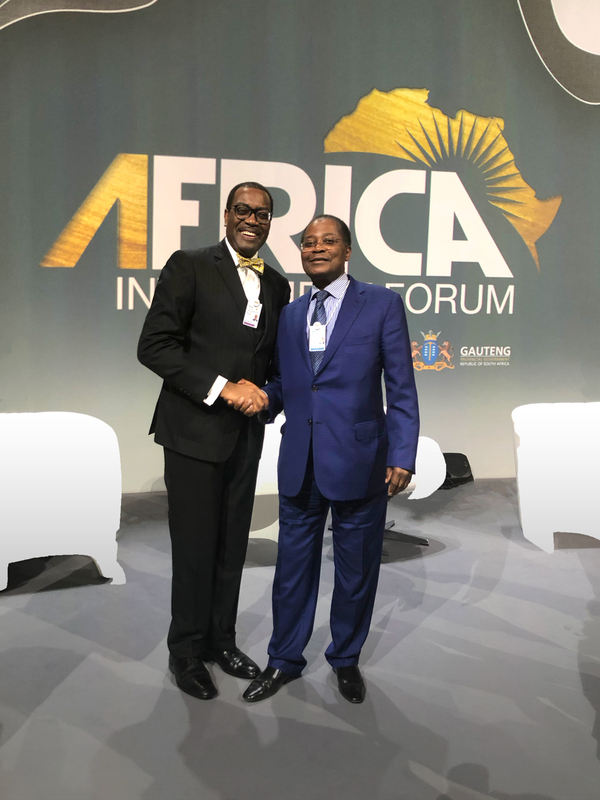 In line with its vision for Africa’s development, Petrolin Group attended the Africa Investment Forum (AIF) held in Johannesburg from 7 to 9 November 2018. It is the first transactional forum on investment to be organized in Africa. Launched under the aegis of the African Development Bank (ADB), the event brought together 1'400 VIPs of the public and private sectors from Africa and the world beyond. Together with other executive officers from international telecommunication and oil companies in particular, Mr Samuel Dossou-Aworet, Founding Chairman of Petrolin Group, was among the speakers at the discussion panel: «Africa: an attractive destination for investors, the private sector’s expectations about the current business climate and enhancement opportunities». During the session in partnership with the European Commission, Mr. Dossou-Aworet shared with businessmen and investors in attendance Petrolin Group’s position as regards investment that builds on a robust international network, and highly developed local networks. At the closing ceremony, the African Development Bank President, Mr. Akinwumi Adesina, thanked Mr. Dossou for the support granted to his Institution and his utter faith in the future of Africa. AIF is a multidisciplinary transactional platform, created by the African Development Bank (ADB), to stimulate funding in practical ways, and thus meet in concrete terms the challenges facing Africa. This opportunity for encounter and introduction is the rallying point where project sponsors, public partners, financial institutions and private investors converge in a bid to rollout projects in Africa.